THE SHETLAND licensing forum has added to concerns over the number of off-licences in Lerwick, saying that it “appears to have a negative impact” on local people’s health. In a letter to Shetland Islands Council’s licensing board, the forum said the number of off-licence premises per head of population “gives rise to concern and could be construed as overprovision”. The note was written as part of the licensing’s board consultation into possible overprovision as it prepares a new three-year licensing policy statement. NHS Shetland had already expressed its view that there are too many off-licence premises in Lerwick, and the health board has maintained its view as part of the latest consultation. Members of the licensing board will discuss the consultation’s findings at a meeting on Tuesday as they decide whether there are any areas of overprovision in Shetland which they wish to note in the policy statement. A letter from licensing forum chairperson Debbie Leask said that Shetland has 152 licensed premises, with Lerwick accounting for 39. In the town there are 16 on sales, 12 off sales and 11 on/off sales premises. The forum features a range of representatives, from the industry to the NHS and the police. “The forum would appreciate the licensing board reviewing the evidence and taking into consideration that the current level of off sales premises within Lerwick appear to have a negative impact to the health of the local population,” the forum’s letter said. 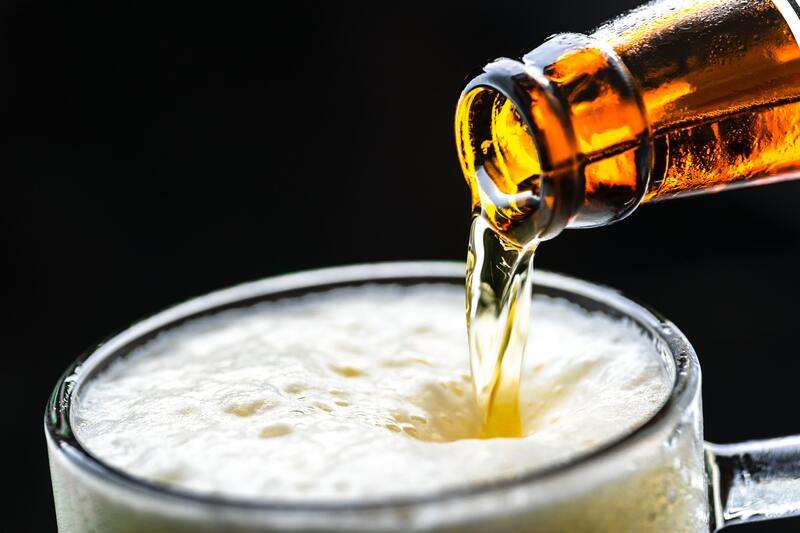 NHS Shetland’s views on overprovision of shops and supermarkets selling alcohol were made public back in 2016, with national media coverage following. Since then the Scottish Government has implemented minimum unit drink pricing in a bid to curb the binge drinking of cheap booze like cider. In NHS Shetland’s latest submission, public health principal Elizabeth Robinson said the health board’s report showed that alcohol is “too easily available in Shetland”, and reaffirmed its belief that there is an overprovision of alcohol outlets in Lerwick. Figures showed that there are 46 off trades per 10,000 people in Shetland, with the national average 11.6. The NHS report said that there is on average four deaths per year in Shetland directly attributable to alcohol, while in 2016/17 there were 140 alcohol related hospital discharges. This has an estimated annual cost to NHS Shetland of £83,887, excluding ongoing care costs. In addition to the off sales and supermarkets, Lerwick’s pool of licensed premises also includes two public halls, five hotels, five pubs, 11 restaurants and four nightclubs. Robinson said that “there is a strong link between the availability of alcohol and alcohol related harm, and, in the absence of further legislation, that the alcohol licensing system is the only realistic tool available to regulate the availability of alcohol”. “We would also very much welcome it if the licensing board were to move to a position whereby the onus is on the person or organisation applying for an alcohol licence to demonstrate in their application for a licence the ways in which they will be upholding the five licensing objectives,” she added. Those objectives are: preventing crime and disorder, securing public safety, preventing public nuisance, protecting and improving public health and protecting children from harm. In a submission on the more general three-year licensing policy statement, meanwhile, national body Alcohol Focus Scotland expressed concern over the licensing hours for Lerwick Up Helly Aa. A draft policy says that “premises involved in the Lerwick Up Helly Aa will cease bar operations at 3.30am but may remain open until 9am”. “We would urge the licensing board to seek views of the local community as well as police and health representatives on the impact of granting a general extension of licensed hours to licensed premises for the Fire Festival or Up Helly Aa celebrations,” Alcohol Focus Scotland said.